What are Persistent Weak Layers? Other than avalanches that occur in new snow as a result of heavy snowfall, most avalanches slide on an old layer or combination of layers in the snowpack that are unusually hard (strong) or unusually soft (weak). Weak layers of surface hoar, cohesionless facets and old rain or sun crusts can remain in the snowpack for many weeks and initiate several avalanche cycles before finally disappearing. These persistent weak layers are the usual cause of avalanches that release in old snow layers. In areas with a deep snowpack avalanches from such a layer are not only likely to be large and extensive, they are completely unpredictable. When they have potential fracture lines a metre or more deep the type of instability is referred to as deep-slab instability. In some areas these layers get buried quite deeply in the snowpack and are very difficult for the backcountry skier or boarder to detect. The usual tests for snow stability that are practical in the backcountry do not reach down far enough. Pay attention to any mention of a persistent weak layer in the Avalanche Forecast. In Kananaskis Country, on the eastern slope of the Rockies, we tend to have a shallow snowpack with a base of depth hoar (sugar snow) and one or more significant persistent weak layer. Most years early season depth hoar makes for tiresome travel, and above treeline strong wind forms slabs interspersed with shallow, weak areas. 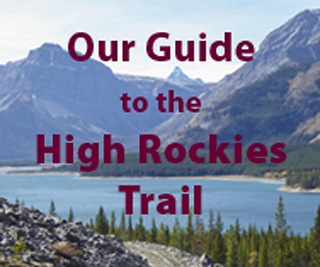 Once the road to Highwood Pass closes December 1 few people choose to venture into serious avalanche terrain in Kananaskis Country until the latter part of Februry or early March. Even then you need to be careful to work the terrain to stay away from weak areas, and to minimise exposure to steep open slopes that lead into terrain traps. If you want to know more about persistent weak layers check out this very informative article that was issued as a special bulletin at the end of January 2008 by Karl Klassen of the Canadian Avalanche Centre. He describes how these layers form and where they were to be found in the 2007-08 season. In particular read the sections on how to manage risks associated with Persistent Weak Layers and deep slab instability. Unfortunately the many links are broken. Great post this will really help me. Tony Daffern on Accuracy of Mountain Heights in Kananaskis Country?